2 year, Full-Time MBA includes rigorous core curriculum, experiential Career Acceleration Modules and Field Consultancy and market-driven Concentrations. Military candidates who need to complete the full-time experience in less than 2 years can work with MBA Admissions on pursuing an accelerated track. An exclusive partnership between William & Mary and the U.S. Army Training and Doctrine Command. The 15-month accelerated curriculum is tailored with an intensity meant to match the pedigree of Army leaders. The program has special emphasis on general management, leadership, federal government budgeting process, as well as specialization in Six Sigma and Supply Chain Management. A flexible dual-degree to meet the needs of military and federal government finance and budgeting. Other dual and join degrees include: JD/MBA, MBA/MPP and MD/MBA. 19-month Executive MBA for working professionals meets two weekends per months in Williamsburg and includes two global immersions. 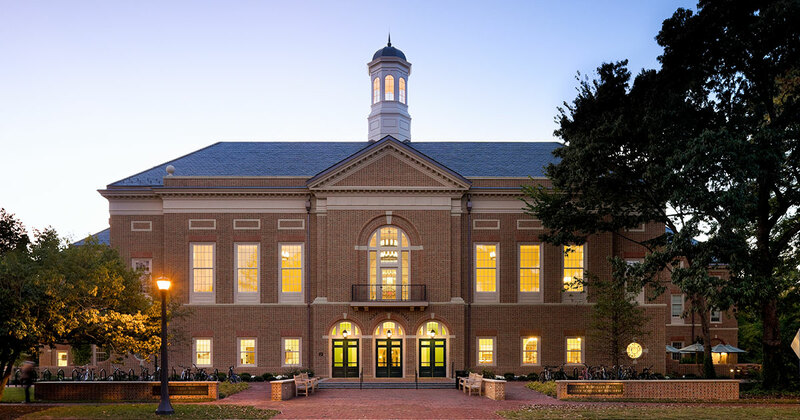 Part-time MBA for working professionals offers convenient evening classes at W&M Peninsula Center in Newport News. 2-year, 49-credit MBA designed for working professionals who need the flexibility of an online program to meet the demands of their busy lives. 1-year, full-time Master of Accounting (MAcc) and Master of Business Analytics programs will provide you with the certification you need to immediately pursue rewarding and in-demand careers in these specializations.